Last edited by Kapyrna; 05-01-2018 at 05:13 PM. Mine is shooting pretty dang nicely at about 340fps now. Did that end up being am okay velocity? How many shots per 12g are you getting at the new fps? That chart above is amazing, btw. Thanks Katrina! I love that the Atomic6 round is on there. Nice spreadsheet. I wish there was a .50 cal paintball at 350fps on there. Which is the important metric on there for legality? Joules on the .50 at 400+ looked very good, but then the very last column at 205% looked not so hot for safety. What does this actually mean for .50 cal in pain and safety level? With regards to pain, I would imagine that the most relevant metric would be joules per square inch. However, any attempt to quantify theoretical pain is going to be frustrated by the materials science at work and the fact that the above chart is comparing projectiles that are elastic (reballs) relatively inelastic (nylon) and highly frangible/liquid (paintballs). All of them impart energy in very different ways, especially on something like skin. The Joules-per-impact-area was my best guess as to how to relate "felt" impact, plus the material frangibility of the projectile adjusts the duration and distance through impact. A .50 at 350fps is another 36% oomph over what it would be at 300, so it scales up pretty fast. I've added it as another row. 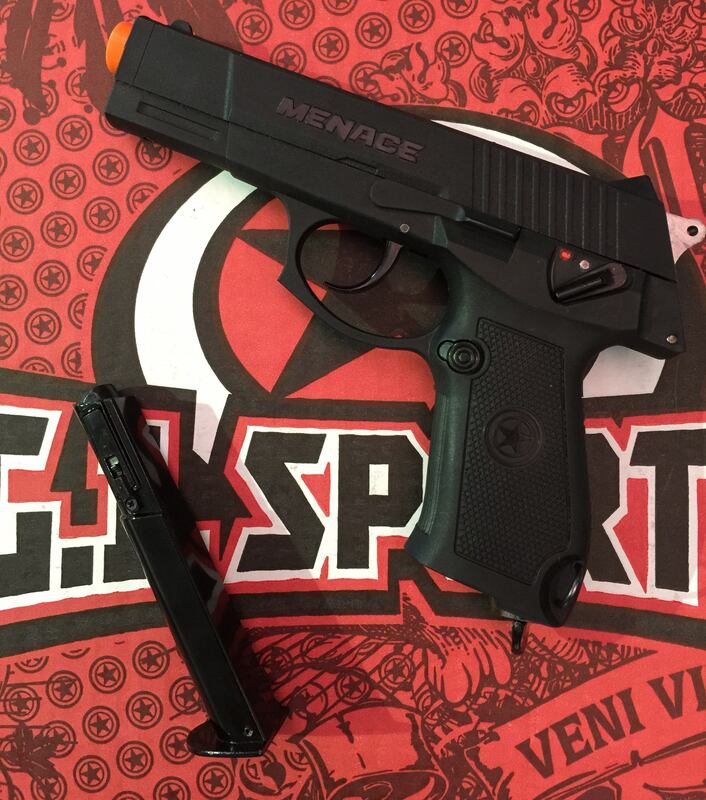 Menace is a replica of a Chinese military pistol. A cool thing is you can use duty gear/holsters. I REALLY LIKE THE .68 GLOCK . Last edited by bond commander bond; 06-01-2018 at 01:40 AM.